The War that commenced on 28th July 1914 was initially a conflict between the Triple Alliance of France, Russia and Britain and the Axis powers of Germany, Austro Hungary and Turkey. By the end of the conflict in 1918, over 100 countries big and small, had become involved, such that it could truly be called the First World War. To a casual reader of WW1 books, it may seem that this was a European Continental war fought in France and Flanders and in Russia. Certainly, the War was ultimately won on what became known as the Western Front. Much has been written about the big battles that took place there over the period from 1914 to 1918 and the battle names are now forever etched in British Military History - Mons, Ypres, Loos, Somme, Arras, Messines, Passchendaele, Cambrai, Amiens and others of 1918. During that global war, Great Britain and her Empire had 8,689,467 men under arms, of which 62% fought in France and Flanders. If Sir Douglas Haig had had his way, especially from 1917 onwards, there would have been an even greater proportion on the 400 miles of the Western Front. The reason that 38%, some 3,289,904 men fought in other theatres of war, is a testimony to a conflict of thinking between Haig and the Western Front supporters and Lloyd George and the Easterners of whom Winston Churchill was one. As the war dragged on into 1917, with higher and higher casualty rates at Arras and Passchendaele, Lloyd George was reluctant to let Haig have all the troops he asked for and became more convinced that the war could not be won on the Western Front. Thus, during the four years of conflict, there were considerable numbers of Divisions in far off places - Mesopotamia ( Iraq ) 889,702 men ,Egypt and Palestine 1,192,511 men, Salonika ( Greece ) 404,207 men, Italy 145,764 men and Gallipoli 468,987 men. Added to these figures, were the mass of troops who were in the UK training the New Army or were performing important roles in the administration, transport and medical services of this gargantuan Army. There can also be added the untold numbers of volunteers who were rejected for military service of any kind. I have researched 19 relatives and their involvement in WW1 of whom six served in a theatre of operation outside the parameters of the Western Front. These are their stories. 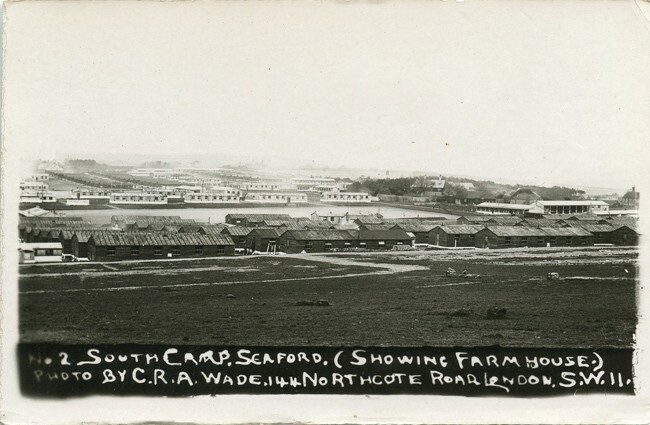 Seaford Camp in Sussex was extensively used throughout WW1 as an initial training base before postings overseas. George must have spent two months in training, during which time they the Army discovered that he could not march because of his hammer toes! Surely there could have been another role for him in the expanding Kitchener’s New Army? Instead, as I know from my father, grand-dad George went back to work in the mines. This probably meant that he never got conscripted in 1916 because he was then in a protected occupation, and being almost 6 feet tall, he never got the call to become an RE tunneler. Interestingly, his military service record has a section where a note about the 1914-15 Star has been crossed out with the result that he has no Medal Index card and therefore received no medals. Had he remained in the army, he would have been posted to Salonika in 1915 and remained there for the whole of the war, where malaria and other diseases took as much of a toll as the fighting. Another relative whose WW1 service was somewhat limited in its activity was my maternal grand-mother’s brother, Albert Jarvis. He was born on 18th March 1888 into the Jarvis family of Felsted, Essex. His father was Arthur Jarvis, a farm foreman, who together with his wife Lucy, lived on Woods Farm in Bannister Green, Felsted . 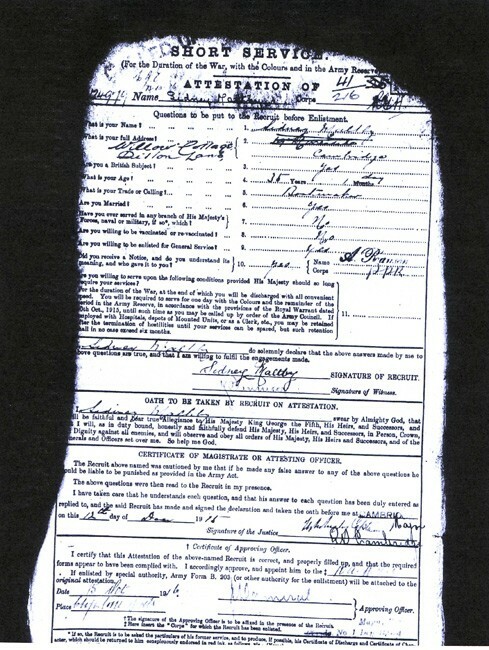 By the time my grandmother was born in 1902, Arthur had gone to Canada and lived in Winnipeg working as a meat packer. Because of his age, I naturally assumed that Albert had fought with the CEF and could even have been in one of the crack battalions used so frequently by Haig when the going got tough in places like the Somme, Vimy, Passchendaele and Amiens in 1918. 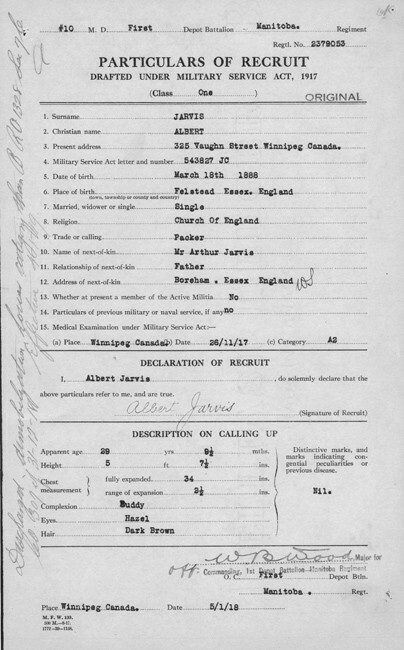 As the Canadian Army service records were not destroyed by fire and have been digitalized I put his name into the Ottawa database and sure enough there he was. He was called up under the Military Services Act 1917 that introduced conscription in Canada. At the age of 29, he had not previously volunteered as had some of his cousins in the UK. According to the papers, he passed a medical examination on 26/11/1917 as A2 meaning that he was fit enough for Army training. This meant that in the space of a year he had fallen from an A2 fit man, capable of going into the infantry, to a man only able to undertake sedentary service in a Home Camp. Presumably, by January 1919, there was not much work of this type, hence the Army dispatched Albert back to civy street. There is much evidence that sexually transmitted diseases were rife during the war and especially amongst Dominion troops in France who were far from home and unable to see loved ones on leave. It is estimated that 416 000 men from the BEF and Dominion forces were admitted to hospitals for sexually transmitted diseases and that, across the UK, there were specialist hospitals to treat them. One source estimates that in 1915 alone, 22% of the Canadian troops on the western front had a STD. Some evidence supports the rumours that the high command organized brothels behind the front line. Mademoiselle from Armentieres was not the kind of girl to take home to see your mother. Some have even suggested that such diseases were intentionally contracted to avoid active service. Whatever the reason, Albert did not follow in the footsteps of other Winnipeg enlistees and was not amongst those crack battalions of Canadians who left their indelible mark on the history of WW1. In 1914, the Ottoman Empire, based upon Constantinople, extended into the Arab world of what we now call the Middle East. This included Iraq or as they preferred to call it in 1914, Mesopotamia - the land between the rivers, rich in oil, which the British badly needed. Thus, only a few days after we declared war on the Turks, a force of British and Indian troops landed in Mesopotamia to protect the oil fields. This force became known as the Indian Expeditionary Force - IEF. 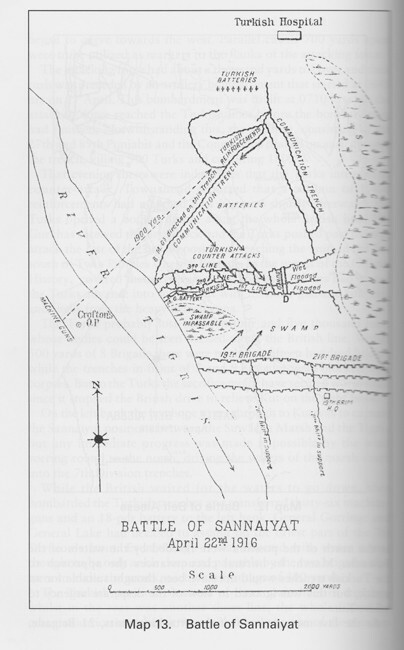 The Indian army elements were reinforced with Battalions from the UK, including the 2nd Battalion Norfolk regiment. The British involvement in Mesopotamia went well for a time, until in late 1915, a significant portion of the IEF found itself besieged in the city of Kut along the banks of the Tigris. General Townshend, an experienced Indian army officer, directed the defence of Kut, expecting that a relief column would arrive from the British base at Basra to the south. However, he failed to judge the food and water supplies and to take account of the fact that the Turks were commanded by a 72 year old German Field Marshall and were enhanced by the transfer of experienced Turkish troops from Gallipoli which the allies had evacuated in January 1916. A relief column under Lieutenant General Sir Fenton Aylmer, set off up the Tigris but met with stern resistance from the Turks and appallingly wet weather more akin to the Western Front. This caused the Tigris and its tributaries to flood the marshy area over which the relief column was having to advance towards Kut. Fierce fighting ensued to April 1916 when it became obvious that the Kut garrison could not hold out any longer and surrendered under Turkish terms on 29th April 1916. This was one of the worst ignominies of the Great War. Townshend and over 10000 men went into captivity of which more than 3000 died of sickness and malnutrition. Two of my relatives spent time in Mesopotamia, although thankfully neither of them was at Kut. Samuel J. Maltby was my grandfather’s older brother. Living in Cambridge, he had enlisted in the territorials long before the war began and had been called up on 8th August 1914. He spent a very brief period from March to April 1915 in the Ypres area with the 1st Battalion Suffolk regiment before a foot injury caused him to be hospitalized in the UK. It then appears, that after recovering sufficiently to be pronounced fit for active service, he was transferred to the 3rd Bn Norfolk regiment - a home based battalion in Felixstowe. As Pte 20002, he did not have to wait long to be posted to the 2nd Battalion Norfolk Regiment. This became part of the 7th Division, 21st Infantry Brigade in a composite battalion made up of 2nd Norfolks and 2nd Dorsets. Thus, on 19 January 1916, Samuel was sent out to Mesopotamia, where he remained until 10 May 1916. Samuel was in a section of the 2nd Battalion Norfolks that was not trapped in Kut where they had been forced to surrender to the Turks. The war diary WO95/5138 reveals some details of their activities during the period February to May 1916 when a force was gathered together in a failed attempt to relieve Kut. 4/2/16 Composite English Battn formed with detachments of 2nd Norfolks and 2nd Dorset Regt. The battn. Being detailed to the 21st Bde. Strength of the Battn on this date 45 officers 850 ORs. 29/2/16 The men were tired the Bn having had little rest since 6th of month. It started to rain at 12 noon and conditions could hardly be worse. It was found impossible to get any food or tools into the trenches that night. 31st March Between 21st and 31st March the extra vigilance necessitated by our close proximity to the enemy ( 150 yds ) rapid construction of new trenches and the large amount of digging which had fallen upon the men have undoubtedly told upon the men who are at the present moment much fatigued. 12Th April At 4pm strong northerly winds arose which brought up the marsh and flooded the trenches. At approach of darkness enemy left his trench in our front offering a fine target which was taken advantage of. 22nd April At 6 15am 19th Bde attacked and 21st Bde stood fast to await orders. At 7 30 am 21st Bde moved in support of 19th it became evident that 19th Bde had been obliged to give way before the enemy’s counter attack. We were practically powerless to assist in beating back this counter attack. The enemy advanced and appeared to be gathering for a further counter attack this was dispersed by our artillery who inflicted heavy losses on the Turks who withdrew. About 10 30 am the enemy showed a white flag and an informal armistice took place lasting until sundown. During the armistice all our wounded were collected up to the enemy’s front line. Turks would not allow our parties to cross their front line trench. From the above account it seems as if the Mesopotamian campaign had similarities with the Western Front in the trenches with flooding and the dominance of artillery fire-power, plus the extremes of temperature and diseases of all kinds. 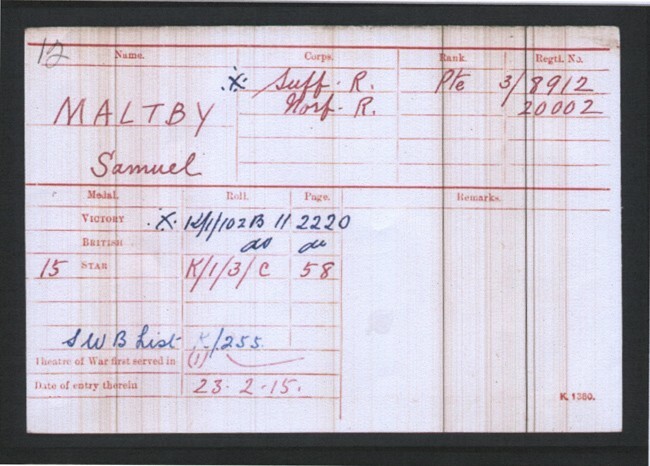 Contact with the Norfolk regiment museum in Norwich produced Samuel’s medical record showing that he developed signs of an illness during the voyage to Mesopotamia in January 1916. 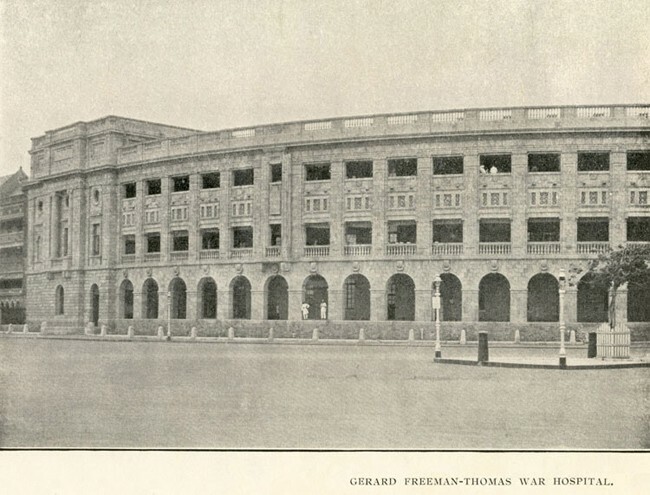 In late April, 1916 he had a fever and developed colitis so badly that he was sent off to Bombay to the Gerard Freeman hospital on 11th May 1916. 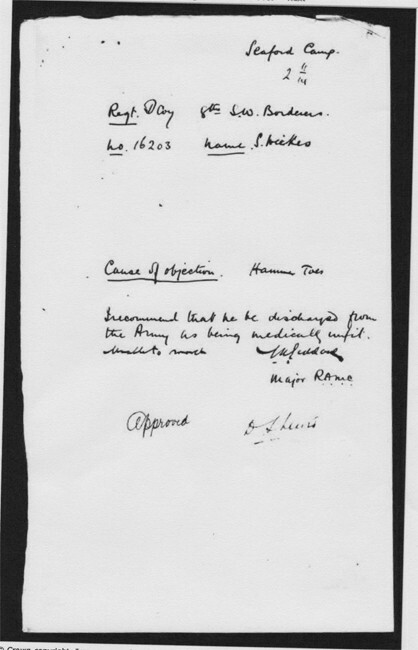 The next entry shows that on 4th June 1916, he was in the 15th General Hospital Alexandria, Egypt with Enteric Fever - namely Typhoid. After that, he was sent home to the UK on 12th July 1916 in the Hospital Ship, Gloucester Castle. Arriving on 23th July 1916, he was transferred to West General Hospital in Manchester ,where he remained until the end of October 1916. The Gloucester Castle had been a hospital ship since September 1914 and had been used in the Dardenelles. She was torpedoed in March 1917 in the English Channel, but did not sink and was repaired as a merchant vessel - eventually being sunk in WW2. On 24th October 1916 the medical board report showed that Samuel had Cardiac Dilataiois - meaning he had a weakened heart caused by the active service and climatic conditions as described in the war diary. Thus, on 14th November 1916, he was discharged as medically unfit for any further service in the Army and on 16th December 1916 he received the SWB no 104979. According to his Army service record, he also received a war pension that was annually reviewed, with the last entry dated 10 April 1918, although he probably continued to receive his war pension long after this. His experience of WW1 was almost totally confined to the inside of numerous military hospitals across the Western Front, Mesopotamia, India, Egypt and finally Manchester. The other relative to serve in Mesopotamia was Leonard Livermore a cousin of my maternal grandmother. He had been a stockman on a farm in Essex, before enlisting in October 1915 at the age of 30. He was deemed unfit for front line duties because of a back injury, and thus spent 18 months in the UK with the RE Signals Depot at Milton Keynes. His initial war service included periods in hospital with a STD and an injury caused by falling off a wagon that he was driving - resulting in a charge of negligence, from which he was acquitted. After almost two years of doing little for the war effort, his unit was sent to Mesopotamia on 28 April 1917. By this time, with the capture of Baghdad, the tide had turned in Mesopotamia. More troops had been sent there by Lloyd George, who was convinced that victory would not come on the Western Front. What exactly Leonard Livermore did in Mesopotamia is unknown, but like so many others, he did not escape the diseases. He contracted malaria and like thousands of others, was sent to a hospital in India on 29 June 1917. He arrived at a hill station, Deolali in July 1917 and remained there until August 1917. This hospital, N E of Bombay, was the origin of the term DOOLALLY meaning ‘to go mad’ - probably because so many of its occupants had intense fevers. 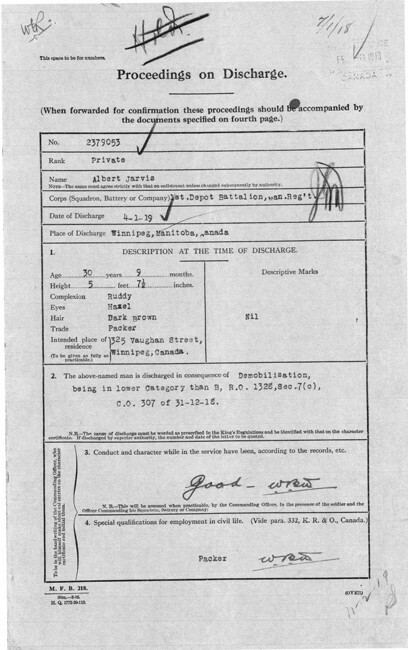 Leonard’s Army service record shows that he spent the rest of his army career in an Indian hospital! Between 2nd and 11th April 1918 he was back in hospital with Malaria and still in India. On 29 January 1919, he was admitted to a hospital in Poona and on 1st February 1919 he was transferred to No 44 General Hospital, Deolali. 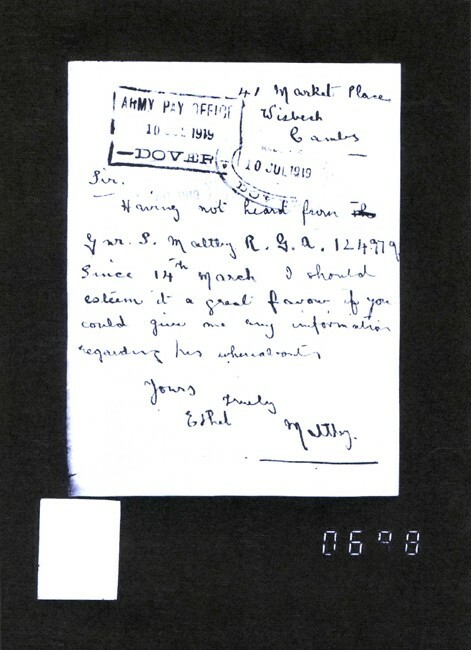 On 24th February a telegram was sent from the Central Casualty Bureau in Simla to the Casualty Branch War Office, London. It stated that RE Signal Depot 73750 Livermore L. was seriously ill with a sexually transmitted disease, complicated by cystitis. It seems that they did not expect him to survive. He remained in hospital until May 1919. Finally on 22nd July 1919, he was again admitted to hospital in Poona - this time with influenza. The Spanish flu pandemic, which was sweeping the world, killed between 20 and 50 million people. Leonard survived, being discharged from hospital on 9th August 1919 and then embarking for the UK on 11th November 1919, exactly one whole year after WW1 had ended. On 5th January 1920 he was de-mobbed and returned to civy street, probably to a farm job. In 1921 he received the British War and Victory Medals for his rather unusual service to King and Country. Those, like Lloyd George and Winston Churchill, who favoured the Eastern approach to victory, caused the British and Empire soldiers to pay a very heavy price for their grandiose schemes. It has been estimated that for every front line infantryman, there were 9 support troops behind the front lines and at home in the UK. The RAMC was responsible for operating all the Army’s medical units although, as the war was prolonged, it had to be assisted by voluntary organisations like the British Red Cross, St John’s Ambulance, the Friends Ambulance unit, the Voluntary Aid detachments ( VADs ) and private and charitable organisations. 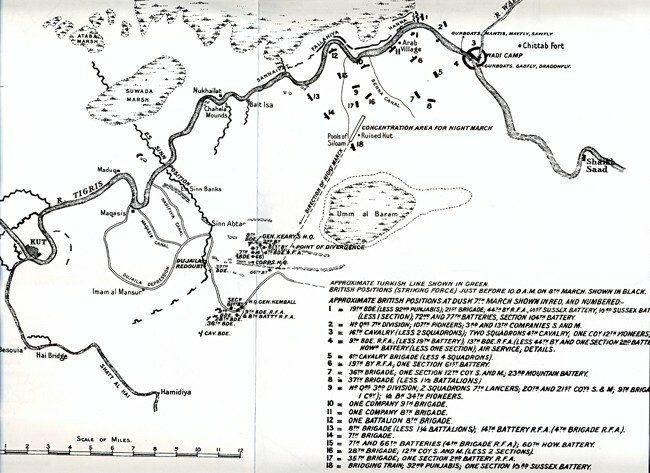 As the casualty rates increased, the RAMC had to develop a complex chain that processed the casualty from the front line and back to hospitals in the UK, although not all the wounded went through all of the stages. What follows is a simplified description of the various stages as provided by the Long Long Trail website. During Front line actions the wounded were likely to have received first medical attention at aid posts situated in or close behind the front line position. This was a mobile medical unit, not a vehicle. Each British division had three such units, as well as a specialist medical sanitary unit. The Field Ambulances provided the bearer posts but also established Main and Advanced (that is, forward) Dressing Stations where a casualty could receive further treatment and be got into a condition where he could be evacuated to a Casualty Clearing Station. The CCS was the first large, well-equipped and static medical facility that the wounded man would visit. Its role was to retain all serious cases that were unfit for further travel; to treat and return slight cases to their unit; and evacuate all others to Base Hospitals. It was often a tented camp, although when possible the accommodation would be in huts. CCS's were often grouped into clusters of two or three in a small area, usually a few miles behind the lines and on a railway line. Casualties would normally be moved from the CCS to a Base Hospital by specially-fitted ambulance train or in some circumstances by barge along a canal. Once admitted to a Base Hospital, the soldier stood a reasonable chance of survival. More than half were evacuated from a General or Stationary Hospital for further treatment or convalescence in the United Kingdom. The Stationary Hospitals, two per Division, could hold 400 casualties each. The General Hospital could hold 1040 patients. They were located near the army's principal bases at Boulogne, Le Havre, Rouen, Le Touquet and Etaples. The establishment of a General Hospital included 32 Medical Officers of the RAMC, 3 Chaplains, 73 female Nurses and 206 RAMC troops acting as orderlies, etc. The hospitals were enlarged in 1917, to as many as 2,500 beds. Existing military hospitals were expanded; many civilian hospitals were turned over in full or part to military use; many auxiliary units opened in large houses or public buildings; and many private hospitals also operated. A number of hospitals had been identified before the war for use and operation by the Territorial Force. ( T A ).They were generally based at existing hospitals and other large facilities. For example, the 1st Southern General Hospital was based on the Great Hall at the University of Birmingham. They did not exist as such prior to the war other than for training purposes, but were mobilised in August 1914. All were expanded during war time, not only on the primary sites but with the addition of Auxiliary Hospitals and annexes. They were staffed by a mixture of TF Nursing Service personnel and volunteers from many different organisations. One such T F hospital was the 1st Eastern General Hospital based in Cambridge. The First Eastern General Hospital was a military hospital established by the Royal Army Medical Corps in 1908 provisional upon mobilisation. Many of Addenbrooke's medical and nursing staff served on its staff . 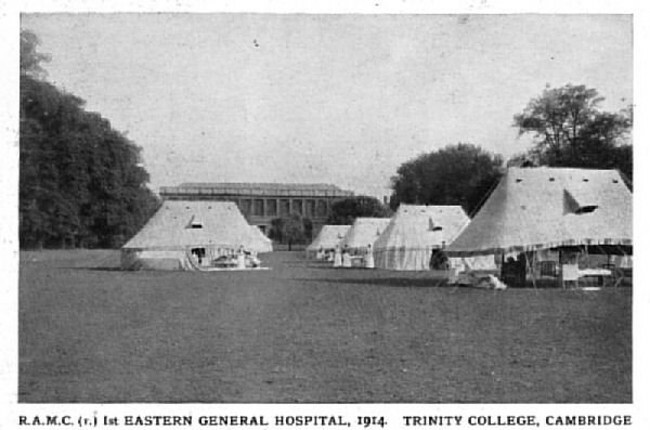 During World War I the hospital had its headquarters in Trinity College, with beds in the Leys School and in the grounds of Trinity College, and later in temporary buildings on the cricket grounds of Clare College and King's College to the south of Burrell's Walk, with over 1,500 beds by the end of 1915. The hospital continued its war duties until 1920. Wounded soldiers were also offered beds in Addenbrooke's itself, Albert, Griffiths and Bowtell wards being commandeered for this purpose and regarded as an extension of the First Eastern. The last soldiers were withdrawn from these wards in March 1919, 2885 having been admitted since 1915. While the building of the hospital was underway on a former cricket field belonging to King's and Clare Colleges, patients being repatriated from Europe were housed in the Leys School and Trinity College. The completed hospital, a series of pre-fabricated wooden huts, had up to 1,700 beds, operating theatres and ancillary buildings, a Post Office, shop, cinema and other recreational facilities. The First Eastern's open air wards and its curative use of direct sunlight and saline baths in the treatment of war wounds attracted a great deal of public attention. Auxiliary hospitals – for convalescents and patients with venereal disease – were also built in the city and surrounding villages. One of the RAMC orderlies at this 1st Eastern General hospital in Cambridge was Frederick E Maltby, a cousin of my maternal grandfather. Frederick was born in 1894 and at the time of the 1911 census, he was living at 21, Broad Street, Cambridge with his father Ernest, who was a robe maker, and his mother Jane. He was17 and employed as a Museum assistant in a Botany Department, perhaps at the Fitzwilliam Museum. His service record exists, telling us that he joined the Territorial Force on 19th April 1915 in the RAMC, possibly because he had a scientific bent from his job. He was mobilized on 19th April 1915 as Private 1816 (later 481126) R A M C and posted to 1st Eastern General Hospital at Cambridge. As has already been explained, the 1st Eastern had its HQ in Trinity College, with beds in the Leys school, in the grounds of Trinity College and in temporary buildings on the cricket grounds of Clare and Kings. Later, part of Addenbrookes Hospital was commandeered and in effect became an extension of the 1st Eastern. According to his Army service record, Frederick spent the whole of his service from 19th April 1915 to 8Th March 1919 on the Home Front and therefore was not entitled to any War medals and has no Medal Index card. On 27th November 1915 he passed an examination to become an operating theatre attendant and on 28th March 1916 he was promoted to Corporal. He may even be in this photograph? He appears to have been stationed in Cambridge for most of his service, although on 28Th March 1918, his record shows that he returned to the rank of Private on a change of station to Blackpool, which was a major training camp for the RAMC. I do not know how long he remained in Blackpool, but his demobilisation papers of 8th February 1919 were signed from Thetford, which suggests that he had returned to the Eastern region at some point. The hospitals at home functioned well after the war had ended and Frederick was not actually de-mobbed until 8Th March 1919, by which time he was living in Bristol, although his records show that he remained in the Territorials until 21rd March 1920. There are no war diaries for the General hospitals and regrettably I have no written records by Frederick himself, though there are many other diaries from nursing personnel to provide us with evidence of what it was like to work in these hospitals . Fortunately, Philomena Guillebaud - a resident of Cambridge, has researched the 1st Eastern Hospital in her book FROM BATS TO BEDS TO BOOKS. In this excellent publication she tells us the history of the hospital and what became of the site, namely the present University library. She paints a picture of the conditions both for the staff and the patients there. 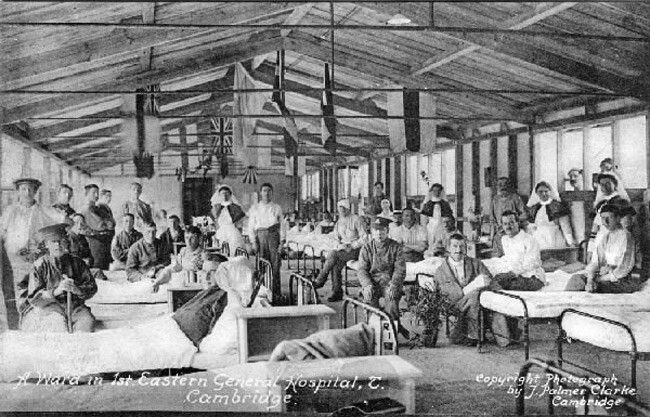 From this important source we know that the 1st Eastern General hospital was mobilized at the outbreak of war and was housed in various parts of Cambridge. University and school buildings were used before the huts on the Kings and Clare colleges’ cricket ground were opened in October 1914, having been built at rapid speed by a local building firm, Negus. There were 1250 beds by the end of 1914. The hospital was commanded by Lt Colonel Joseph Griffiths a surgeon from Addenbrooke’s Hospital, part of which was integrated into the 1st Eastern later in the war. Griffiths was extremely energetic and full of ideas. The 1st Eastern was the only hospital of the 23 Territorial Force hospitals not to be built adjacent to an existing hospital or in existing buildings. The hutted hospital was completely new and all its facilities had to be built from scratch. This gave Griffiths the opportunity to build it to his specifications, making it an open hospital with initially no sides to the huts. This, he argued, was good for the patients, with the fresh air helping them to recover - although the staff may not have thought so in the cold winter! The huts did have awnings to keep out the wet weather and the patients had a multiplicity of methods to keep them warm including blankets, hot water bottles and an early version of an electric blanket! Later in the war, most of the huts were given sides. The hospital had a special feature for open wound patients whereby they were immersed in warm circulating water that was a very effective cure. This open-air hospital did become famous and attracted a lot of visitors to see how it worked, including George V. There are many photographs of the hospital, now in the Cambridge Central Library, taken throughout its operation by a local photographer Palmer Clarke. It can be seen how much it changed, with flowers, sports and other facilities to make it as comfortable as possible for the patients. To reduce the austere look of the hutted wards, the bed covers were coloured and allied flags were hung from the beams. Fully operational, the hospital was like a small village with a population of 2000 people, a Post office, canteen and newspaper store. 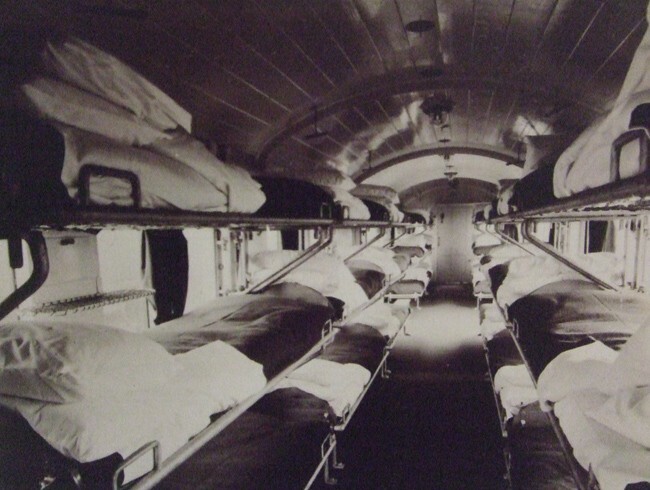 As the war progressed, casualty numbers rose, and so did the number of beds. Official numbers were 1500, but at peak periods it went above this and during July 1916 there were 2434 patients admitted in one month. To ensure that beds were available at peak periods, patients were moved to convalescent units located in and around the Cambridge area, normally in large country houses. From April 1917, many staff from the UK based TF hospitals were transferred to new Hospitals in France to meet a severe shortage of beds nearer to the front line. This created a crisis for 1st Eastern and medical students from Cambridge University were called in to to help fill the gaps. The nursing staff was made up of Nurses, RAMC orderlies (like Frederick Maltby) and V A D s (Voluntary Aid Detachments). The female staff lived off site in college accommodation whilst the RAMC lived on site in the hutted village. During the period from October 1914 the 1st Eastern probably had 70 to 80000 patients of whom 43% came from the B E F and 57% from the Home Based forces. 97% of the patients were other ranks and only a few were officers. 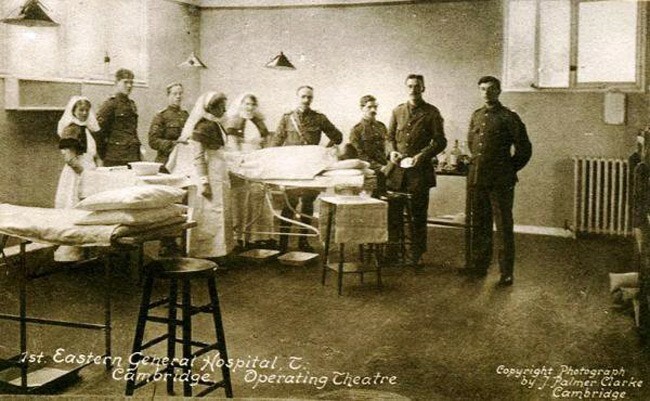 Some men with serious wounds were transferred for surgery to home based hospitals such as the 1st Eastern, as it had a well equipped operating theatre in which Frederick Maltby was a theatre orderly. Those of you to whom this is addressed have caught a venereal disease usually because you have been with a strange woman. So long as the disease is on you there is no room for you in the active service line which is entrusted with the defence of your country. You cannot be allowed to go to the fighting line lest your disease may be spread to others and thus cause misery and trouble to those who have denied themselves. It is expected that you will co-operate and assist to make yourselves clean and again to become men in the best sense of the word , making up your minds not to spread a loathsome disease to anyone even the vilest enemy. One suspects that such a high moral tone did not reach the young Tommies who, faced with the ever present threat of instant death, decided to visit Mademoiselle from Armentieres and her friends. In September 1919 the 1st Eastern General hospital closed its doors. Philomena Guillebard’s excellent book tells how it became temporary housing in the 1920s, as the country tried to provide homes fit for heroes. Later, in the 1930s, the University Library was built upon the site. Nothing physical now remains of the hutted hospital in which Frederick Maltby and his RAMC and nursing colleagues looked after 80000 soldiers. One other important section of the support troops was the Labour Corps. It was formed in January 1917 and grew to almost 400000 men, 10% of the army, by November 1918. Of this number, 175000 were working in the UK, made up of men who had been medically rated below the A1 condition necessary for the front line troops. Many of these men had been wounded and deemed fit to return to other duties. The Labour corps played a very important role, both in the battle zones and the UK, although they were always treated as a kind of second-class army. Few official records exist to tell us what the daily activities were or where the units were located. One member of this Labouring Army was private Albert Jarvis, my maternal grandmother’s cousin. He had enlisted on 31st August 1914 aged 22 and was posted to the 9th Battalion Essex regiment, part of 12th Eastern Division. He was posted to France on 30th May 1915 and took part in the later stages of the Battle of Loos . In June 1916, along with thousands of others, he moved south to be part of the Big Push at the Battle of the Somme. Fortunately the 9th Essex did not attack on 1st July, instead having to watch the disaster unfold from behind the attacking battalions. They went into action at Ovillers on July 3rd when Albert Jarvis became another casualty listed in the Times of 5th August 1916. As Albert’s army service records do not exist, I sought the assistance of Chris Baker’s Fourteeneighteen Research Organization, which found out that Albert Jarvis and other returning wounded were posted to the 32nd battalion Middlesex regiment based at Gorleston, Norfolk. On 24th November 1917, about 100 men from 32nd Middlesex were transferred to the Labour Corps and subsequently posted to 660 Agricultural Company with its HQ in Norwich. Agricultural Companies were formed by the Army Council in June 1917 and men from the home-based units were drafted in to assist with the 1917 harvest and to provide labour detachments for farm work for the remainder of the war. With no further details, again we can only suppose that Albert Jarvis from rural Essex remained working on Norfolk farms for the remainder of the war. Whatever his wound, it had been serious enough to prevent his being sent back to the front. For Albert, it must have been a return to a rural farm life that he had known from child hood and a chance to make an important contribution to the war effort at home. No doubt he had leave and a chance to return home to Felsted on a regular basis until on 15th February 1919, he was transferred to Class Z Army Reserve, enabling him to return to civilian life. 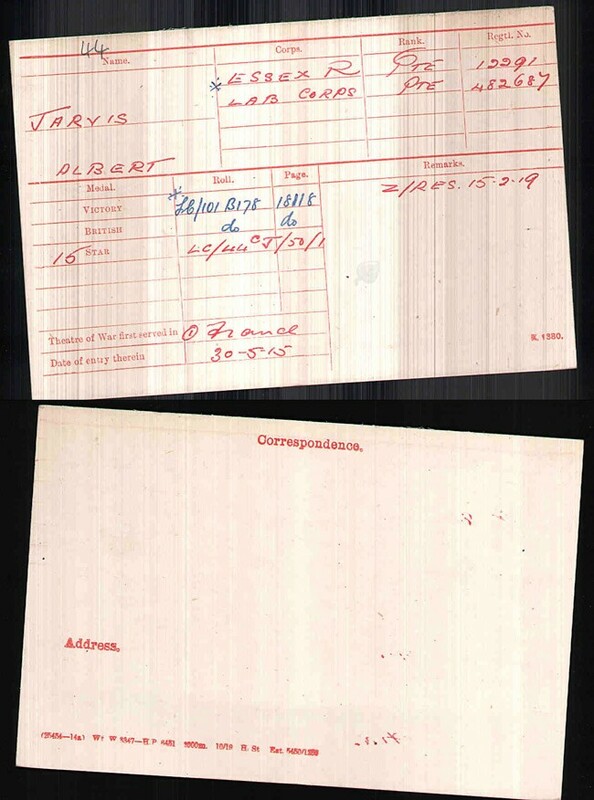 Albert’s pension record shows that he received 12 shillings per week from 7th January 1920 and that he was recorded as having died on 16th July 1930 at the age of 38. 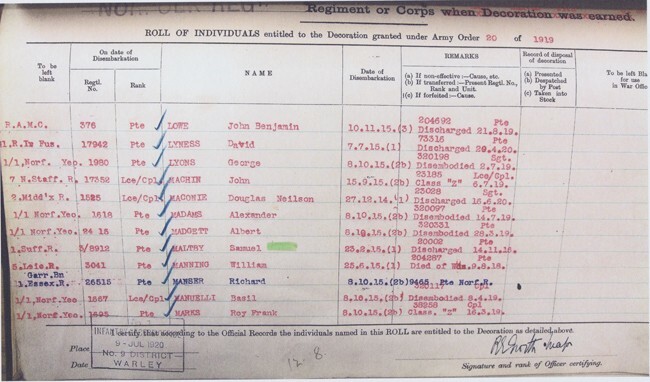 Trying to trace the activities of a soldier who served in a UK unit is extremely difficult without his Army service papers as there are few war diaries for such home based units. This has been the case with Leonard Shallish the older brother of my paternal grandmother Mildred Weekes nee Shallish. Leonard appears on the 1911 census as being 30, married with a baby son and employed as a carter. His Medal Index Card shows that he was private 67463 Worcestershire regiment but it does not show any medals having been issued to him. Contact with the Worcestershire Regiment museum showed that he was called up in 1917 aged 36, probably under conscription and because he has no medals, he was most likely placed into a home based unit. 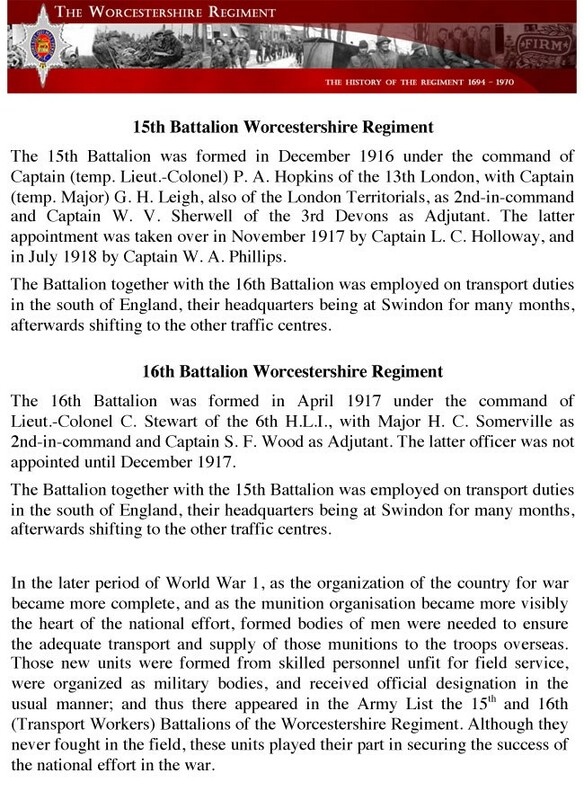 The Long Long Trail Website provides a list of all the regimental battalions formed in WW1 and includes the Worcestershire regiment 15th and 16th (Transport Workers) Battalions formed in Swindon in December 1916 and Bristol in March 1917. These Battalions spent most of the war in Swindon and then in Southampton in 1918. As Leonard was a carter by trade it seems fair to assume that he was in one of these Transport Workers Battalions. What precisely they did is well explained in the Hansard of 5th August 1919 in a House of Commons answer given by Colonel Wilson the Parliamentary Secretary to the Ministry of Shipping. So Leonard Shallish spent his war helping to transport vital cargoes out of the docks and railway depots to wherever they were needed, filling the gaps in the labour force caused by so many men fighting at the front. Whilst not risking his life, he nevertheless made his contribution and it seems very mean of the nation not to recognize this with its War Medals! Even those who served in fighting units sometimes found themselves based in the UK. My maternal grandfather’s oldest brother Sidney Maltby, from Cambridge, was in the RGA from 1915 to 1919. For the majority of this time he was in UK depots. Sidney, married and a boot maker by trade, enlisted on 15th December 1915 at the age of 35. He did so under the Derby scheme a forerunner to conscription, whereby a man enlisted and could then await call up. Sidney was in Group 15 of this scheme and was mobilized on 12th October 1915. He became gunner 124979 in the RGA, going to one of the large training camps located at Clipstone colliery, Nottinghamshire. Following a period of initial Army training, on 16th November 1915 he was sent to the RGA depot at Southampton. Again the Long Long Trail website has a potted history of the Royal Garrison artillery. The Royal Garrison Artillery: developed from fortress-based artillery located on British coasts. From 1914 when the army possessed very little heavy artillery it grew into a very large component of the British forces. It was armed with heavy, large calibre guns and howitzers that were positioned some way behind the front line and had immense destructive power. The new War Office staff proposed to raise a number of AA ( Anti Aircraft ) Sections, which would officially be Companies of the Royal Garrison Artillery. The target was to raise one Section for each of the Divisions that were going to France. In the event, this was not fully achieved until 1916. Some men were posted from all three branches of the Royal Artillery, but they were too few and new recruits would be needed to properly establish these units. In addition, they would need motorised transport to be provided by the Army Service Corps. Six Sections were formed by November 1914, each consisting of (in theory, two but in practice one) 1-pounder (1.46 inch) Vickers Pom-Pom guns, each under a Captain.They soon discovered that the 1-pounders, not having been designed for the application, were of limited value in an anti-aircraft role. As it was becoming ever more apparent that air observation, bombing and fighting was an important aspect of this war, the demand for AA increased .At home, air defences were added to cover the vital manufacturing centres of Birmingham, Coventry and Sheffield. So this is the unit in which Sidney Maltby spent his war. 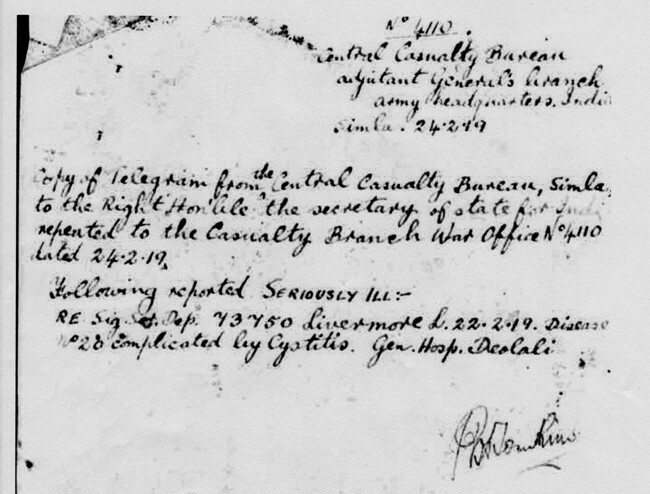 Fortunately his Army service record exists, though in a damaged condition with some pages difficult to read. 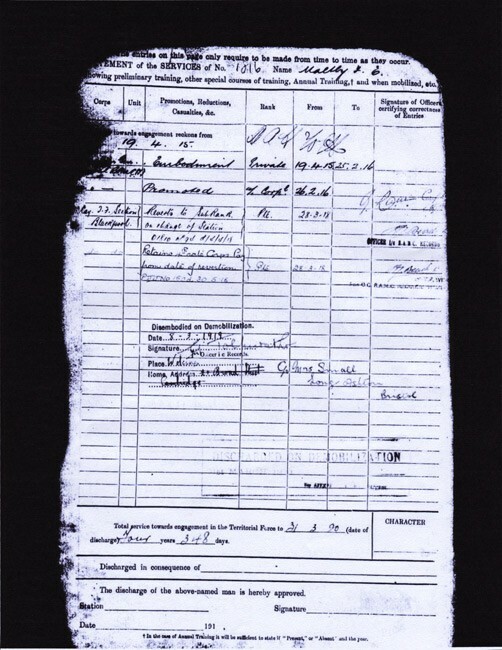 The record shows that he was posted to the RGA Number 1 depot on 12th October 1916 and then in November he was sent to the Southampton depot. On 24th January 1917 he was posted to an AA unit, although we do not know where. It was probably around an industrial city, as protection from the growing German air menace. In June 1918 he was sent to AA reserve brigade. 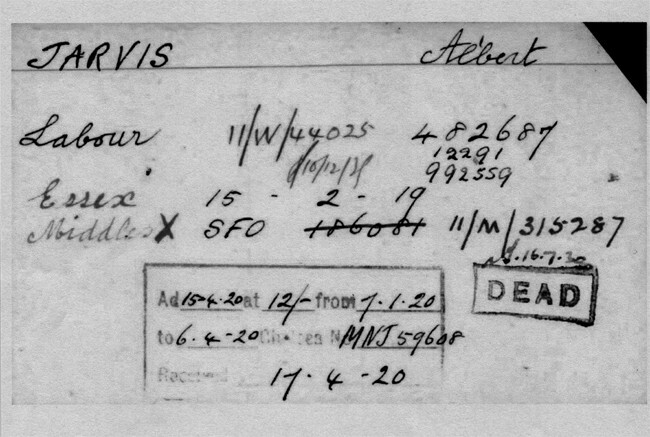 His Medal Index card shows that he received the Victory and British War medals, so he must have served in a theatre of war. His record shows this to have been France, as he was posted to the 244th AA battery on 23rd October 1918. The 244th was part of the Northern Battery protecting the BEF lines of communication during the later part of the war using 3 inch 20 cwt AA guns. I was unable to find any War diaries for this RGA unit, so I have no details as to where Sidney was located in France. However towards the end of his Army service record, we have some odd details, including a letter from his wife Ethel, which asks where her husband is because she had not heard from him since 14th March 1919. It appears that he was granted leave to the UK on 16 February 1919 until 24th February 1919, then extended to 5th March 1919. On the 16th March 1919, he was posted to another AA battery. On 21th May 1919, he was sent to 30th General Hospital, Calais with unspecified medical problems. This might have been related to the flu pandemic that ravaged the BEF during late 1918 and early 1919 and which was especially virulent amongst the 20 to 40 year olds. Altogether he appears to have spent 46 days in hospital, ending on 15th July 1919. Finally Sidney Maltby was transferred to class Z army reserve on 14th August 1919 and returned home to the UK probably to Wisbech, where his wife was living. 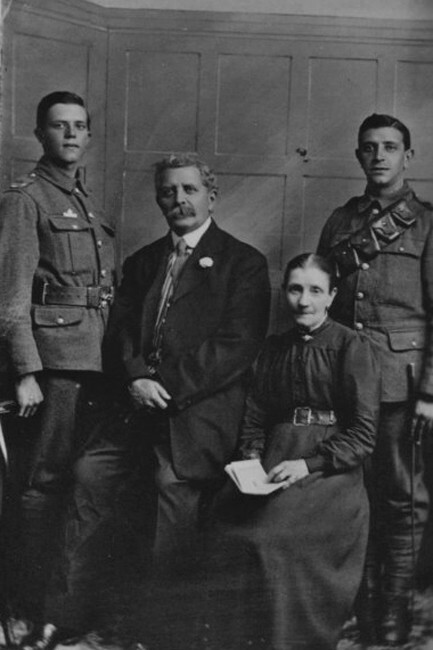 In our family records survives a picture of Sidney and his younger brother Frank Maltby and their parents probably taken in 1916. You can see that Sidney on the right is wearing a RGA gunner’s uniform complete with spurs suggesting that he could have been a driver. Frank was later killed in action at the Battle of Arras in July 1917. So ends the stories of these relatives who were amongst those multi thousands of men and women who made a contribution to the war effort without being on the Western Front battle zone. In the centenary year 2014, it is right and proper to commemorate what they did, for without them, the war would not have been won on the Western Front. Some in this story received the thanks of a grateful nation via their war medals and war pensions, but for others there was no official recognition of what they had done. All who served had given up their normal lives, away from their families and friends to do ‘their bit’ and I personally think that they should have received some form of official recognition for doing that.